In 1644, the Puritans gained control of Parliament. With Grinch-like fervour they set about cancelling Christmas. At a stroke, the traditional 12-day festival – a prolonged period of merriment and revelry characterised by rich food, dancing and excess – was banned. The Puritans regarded Christmas celebrations as sinful, ‘giving liberty to carnal and sensual delights’. Even worse, the traditional decorations of holly, ivy, rosemary and bays were pagan. To bring the country to its senses – or its knees – Christmas Day was initially turned into a day of fasting and repentance until, in June 1647, it was abolished altogether. This extremist Puritan attitude was typified by one ‘Praise-God Barebone’, a leather-seller in London’s Fetter Lane who is described by historian Walter Thornbury as “one of those gloomy religionists who looked on surplices, plum-porridge, theatres, dances, Christmas pudding, and homicide as equally detestable, and did his best to shut out all sunshine from that long, rainy, stormy day that is called life”. So extreme was the Puritan intolerance of Christmas that special constables were appointed to search ovens on Christmas Day and confiscate any food being prepared for the festival! This went down badly with the people of Kent who – like many of their compatriots – were addicted to the festive season. 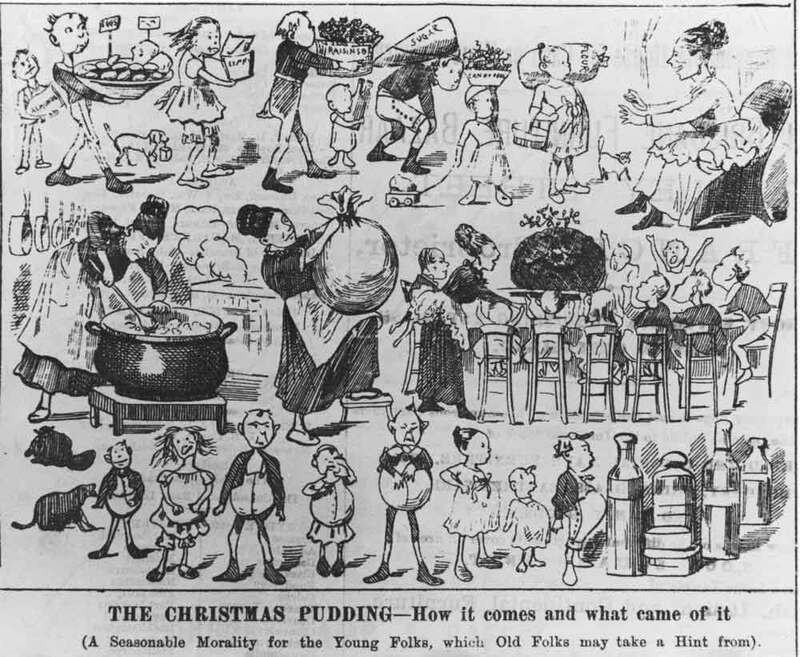 The matter came to a head in Canterbury resulting in what became known as the ‘Plum Pudding Riots’. At this time, the city had a particularly severe – and humourless – Puritan as mayor who encouraged a mob to “insult and molest” church-goers on Christmas Day. This led to an unseemly brawl which – although quietened by the intercession of three leading citizens – resulted in armed forces being sent in to attack the city. The city gates were torn down and burned, parts of the wall were destroyed and many people – including the peace-makers – were sent to prison. With the restoration of the monarchy in 1660, Christmas celebrations were reinstated and church-going once more became a part of the festive calendar. However, notes from the diary of Samuel Pepys reveal that his attendance at church served a purpose other than that of salvation. On 3rd December 1665, Pepys noted with evident pleasure that, in church, he sat “very near my fat brown beauty of our Parish, the rich merchant’s lady”. His entry for Christmas Day reveals an even deeper streak of cynicism. A wedding was held during the Christmas service and, having noted the young couple’s apparent happiness, Pepys remarks: “strange to see what delight we married people have to see these poor fools decoyed into our condition, every man and woman gazing and smiling at them”. Perhaps the Puritans had a point! This entry was posted in 12 days of Christmas, 17th century, Canterbury, Christmas, Christmas pudding, Festivals, Food, Grinch, History, Pepys, Plum Pudding, Puritans, Riots and tagged 12 days of Christmas, Canterbury, Christmas, Christmas pudding, Festivals, History, Plum Pudding, Puritans, Riots, Samuel Pepys. Bookmark the permalink.